Happy 90th birthday (10/14/16) to one of the world's most beloved icons of literature, Winnie-the-Pooh! The publishing history of Winnie Ille Pu is among the most famous in all of publishing: how a privately printed Latin translation of A. 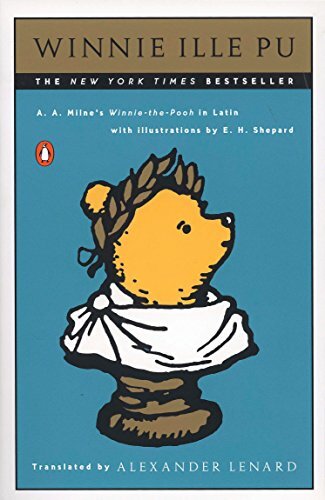 A. Milne's Winnie-the-Pooh, originally issued in a 300-copy edition, eventually became the only book in Latin ever to grace the New York Times bestseller list. Whether you're calling on long-ago high school Latin lessons or are fully proficient in the language, you'll delight in once again meeting Christopher Robin, Eeyore, Owl, Piglet, Kanga, tiny Roo, and, of course, Pooh himself. This is a revised edition with notes and a glossary.